Computed Radiography | Konica Minolta Healthcare Americas, Inc. 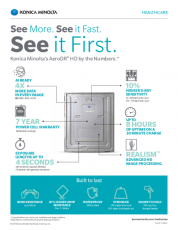 Award-winning CR solutions from Konica Minolta Healthcare Americas provide workflow efficiency in a durable design to help reduce your total cost of ownership. Depend on the #1 rated Xpress® & Nano CR systems for customer satisfaction to keep your department productivity at its peak. Powerful software and intelligent algorithms increase clinical confidence with scalable solutions that enhance economic value. Experience enterprise level capabilities and an easy upgrade path from CR to DR with the SIGMA II CS-7s CR system. 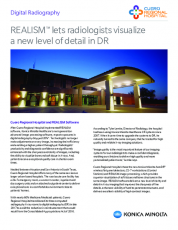 The simple, low-cost solution provides fast patient imaging to help improve workflow with unparalleled reliability and high capacity to help you maximize patient outcomes, productivity and return on investment. At Konica Minolta Healthcare Americas, we provide the most reliable CR solutions available today. Our high customer satisfaction rating is based on supporting you throughout the lifecycle of your equipment, not just when it breaks. That’s why our Blue Moon Lifecycle Solutions are designed to minimize downtime, maximize productivity and eliminate risk throughout the lifetime of your Konica Minolta Computed Radiography system.